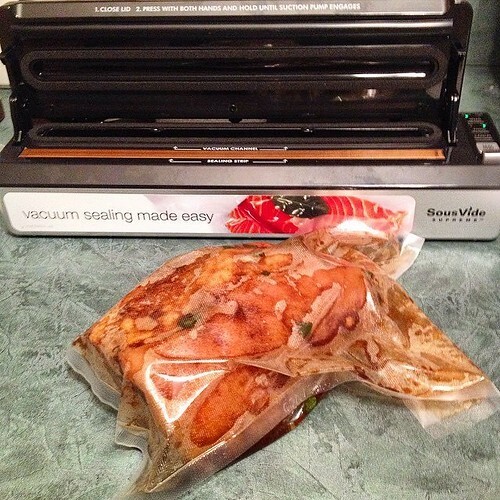 Meanwhile, I placed my pork and marinade ingredients in a vaccum pouch and sealed it. The pouch was then placed in the sousvide to cook for about 10 hours. Because of the long cook time, I prefer having it cook overnight while I'm asleep. The pouch is then removed and I let it chill in the fridge. Before serving, I remove the pork from the pouch and begin slicing it for sandwiches. 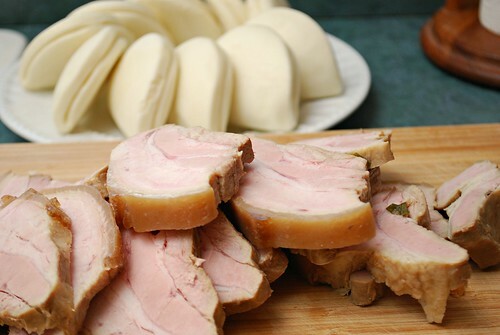 I served them in fluffy soft bao buns, which you can make yourself or purchase from the store. 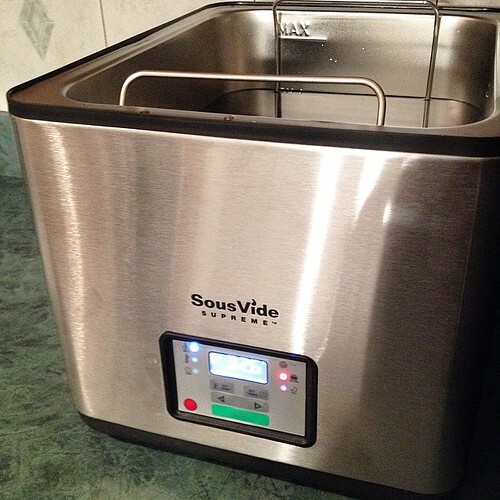 Preheat a sous-vide water bath to 170°F (77°C). Combine soy sauce, mirin, sugar, green onion and ginger in the bowl and whisk to create the marinade. Place pork belly and marinade to a vacuum bag and seal. Transfer to sous vide cooker and cook until completely tender, about 10 hours. Remove bag from cooker and chill thoroughly. Remove pork belly from bag and slice in 1/2 inch thick slices. 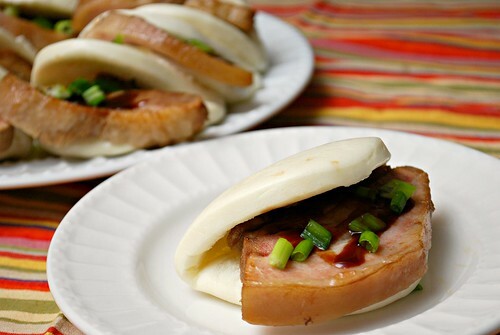 Place on a broiler pan and broil just until slightly charred.Serve in steamed buns with hoisin sauce and garnish with sliced green onions.